We dance in the Hall of Fort Street Public School, Upper Fort Street , The Rocks. The School sits at the top of Observatory Hill, between the old Sydney Observatory and the National Trust’s head office building and S.H. Ervin Gallery. 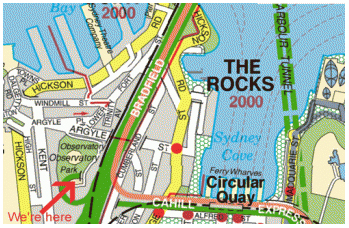 The School is close to both Wynyard and Circular Quay railway stations and is a short walk, up the hill, from the Millers Point bus terminus. We have plenty of parking on site.